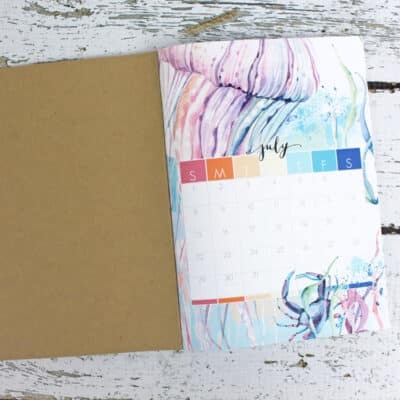 Today I am going to share with you my nearly completed July memory keeping in my personal rings using “With the Tide.” This kit is so beautiful and perfect for summer. First, a little about me. 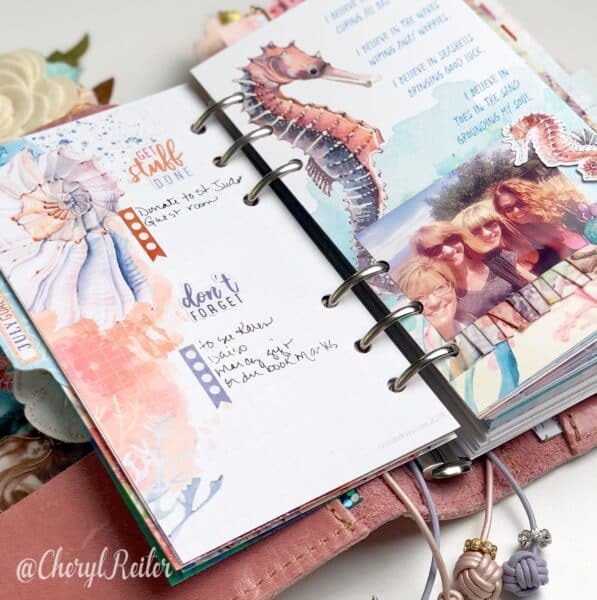 I started my journey in the paper crafting community many years ago as a scrapbooker but as my kids got older, I found it was harder to create large formats. 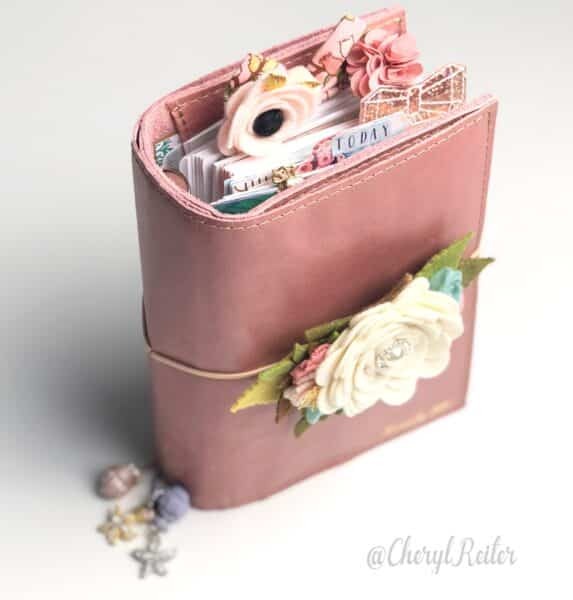 Once I found traveler’s notebooks and then shortly thereafter Cocoa Daisy the two together were the perfect combination for me to create a daily journal with photos and the decorative elements that I crave. I still do some”planning” in my memory keeping, after all it will be fun to go back and see what was important to me to get done that day/month. These stickers find their way into both my memory keeping and my planning. I love to include photos that are either current or a favorite on my dashboards. 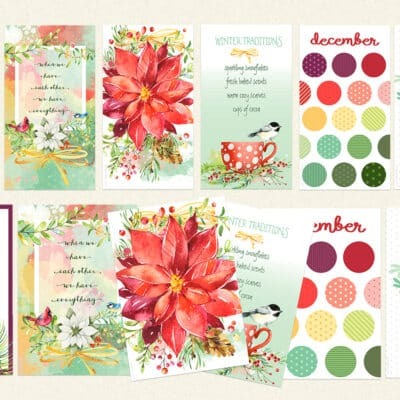 I include the dashboards in my monthly subscription kit. Some days, I don’t have any photos for a day and then several for one day. I don’t always post the photos to just the day that they occur on. For example, on the 4th of July we went to my sister’s home and I took several photos so I started posting them on the “3rd of July.” I also used an app on my phone to make 4 photos print onto “one” square. 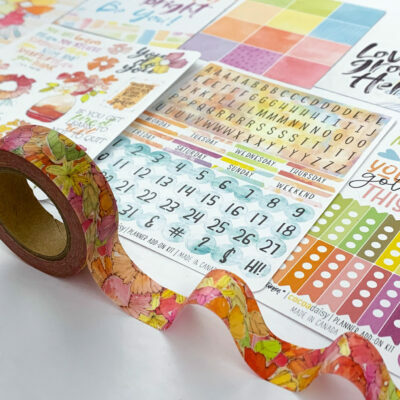 I then added two extra blank sheets of dot grid paper that I decorated with washi tape to add even more space for my photographs. I use the HP Sprocket to print my photographs. It is very convenient for on the go! 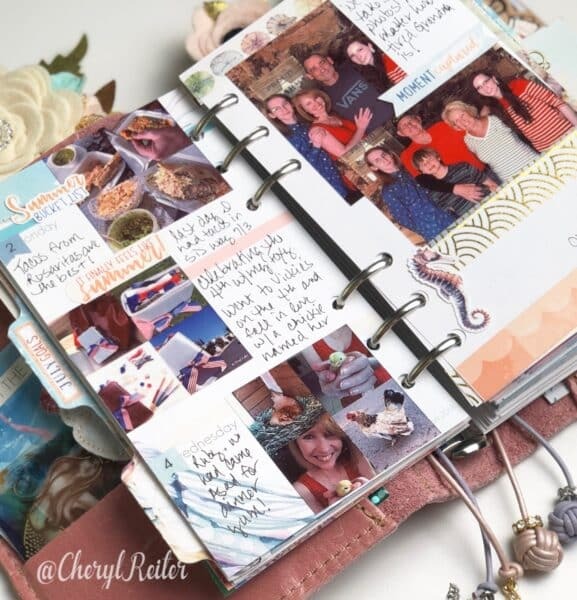 I love the pre-decorated blank pages to add photos and a little bit of journaling. 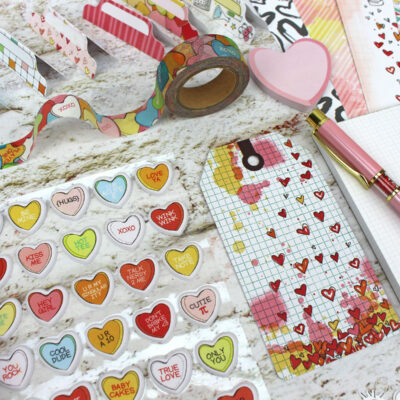 It makes for a quick and easy page, all you need to do is add a few stickers. 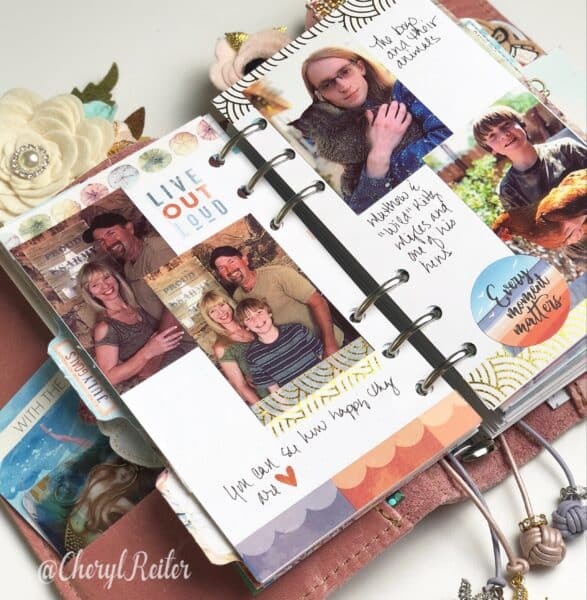 I used the vellum paper to make a pocket page to hold additional photographs that I still need to add to my pages. Basic instructions are included in my video – link below. 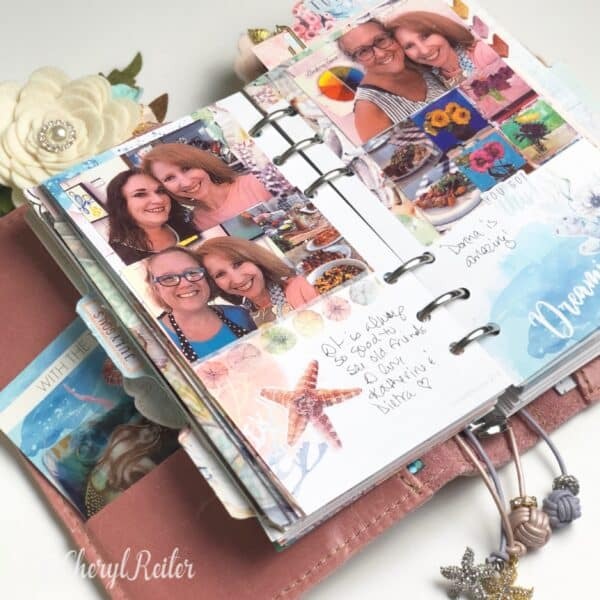 Here is another example of using the pre-decorated pages for photographs and a little bit of memory keeping. 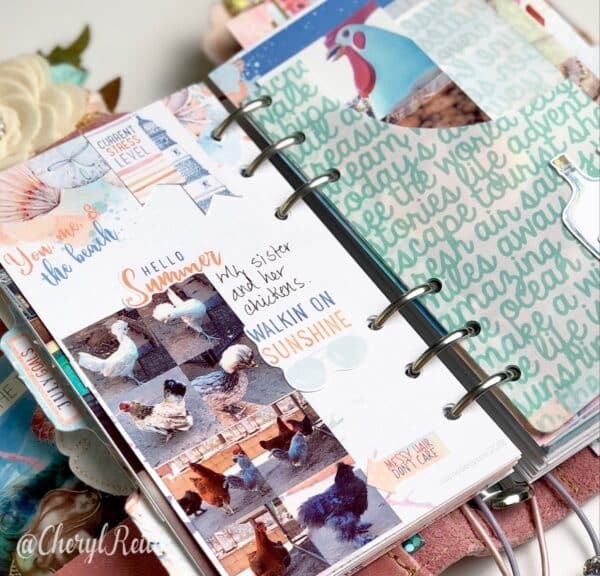 Lastly, these pages have tip-ins for hidden journaling and more space for photos. Make sure to watch my video to see them in action. There is also a sticky pocket on the back of my page marker for easy access for stickers. 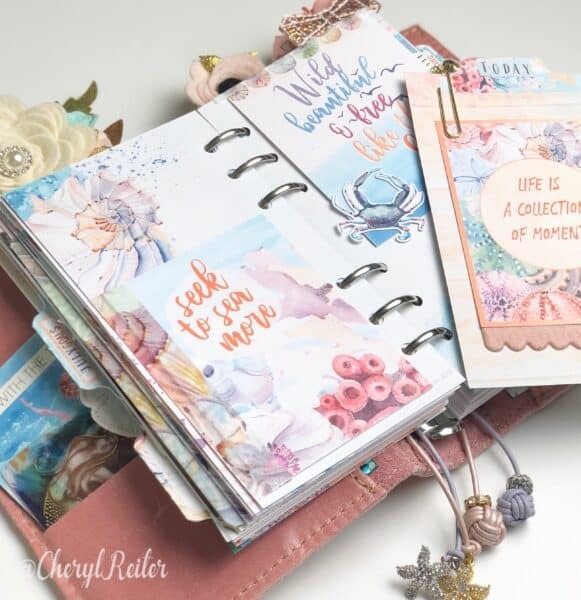 You can see more of my memory keeping in my planner here. Tips and Tricks - Easy Letter Layout!